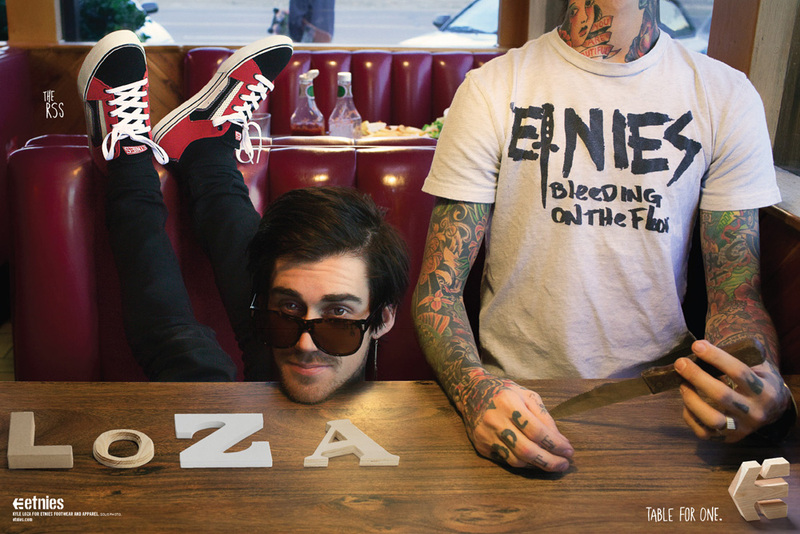 Kyle Loza is not the typical freestyle motocross athlete. Uniquely talented both on and off of his motorcycle as an artist, musician, and designer Kyle brings a lot of personality to anything he does. 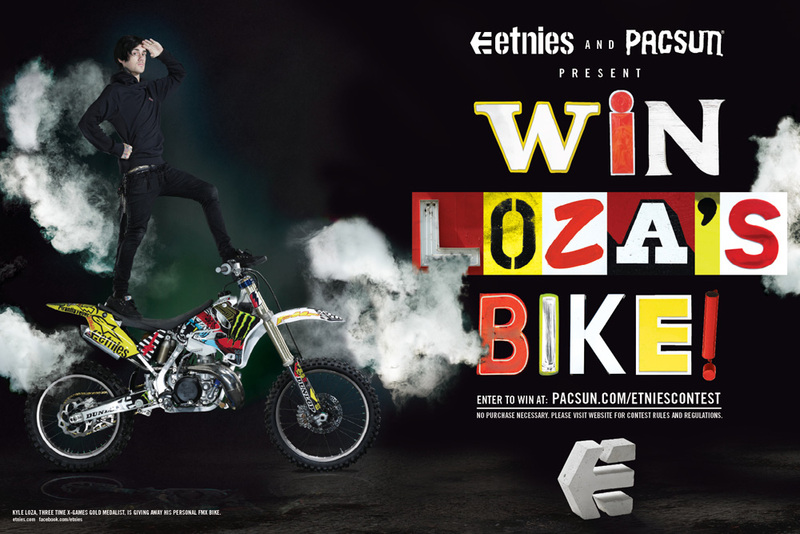 In order to showcase his uniqueness it was necessary to create life-style driven ads that stood apart from the typical motocross action ad. 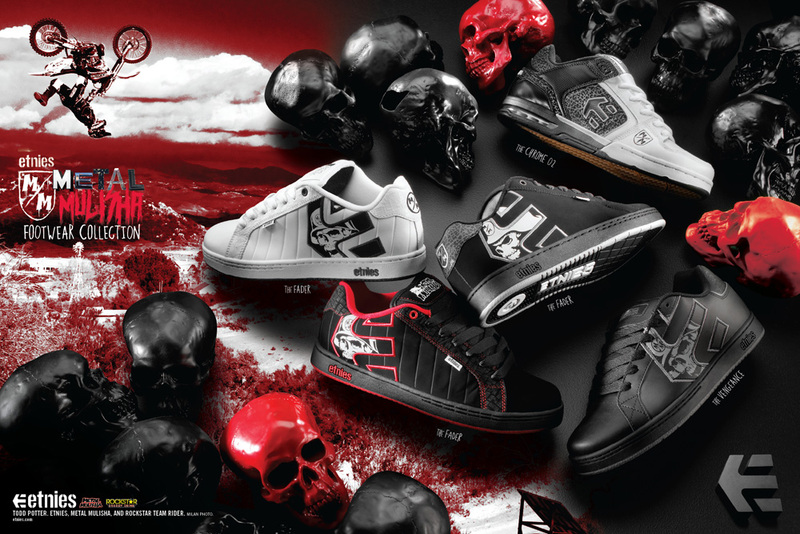 While at Etnies I was responsible for a lot of the etnies x Metal Mulisha collateral. The idea for these ads was to build environments in which to showcase the footwear without it being a typical product advertisement.